Emma Bovary is a sensuous, sentimental young woman whose romantic ideals make her dissatisfied with her humdrum married life. Attempting to escape into an exciting world of passion and dreams, she drifts into sordid affairs with Rodolphe Boulanger and Leon Dupuis. The first of these lovers, an older man, dominates the affair, while the second, inexperienced and young, is dominated. The eventual collapse of Emma's romantic dreams is inevitable, and her disillusionment leads ultimately to her doom. 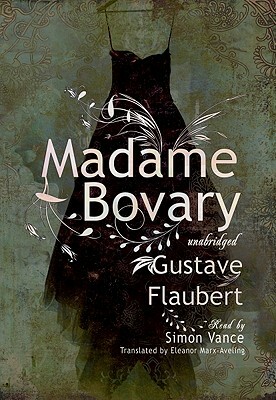 A brilliant psychological portrait, Madame Bovary searingly depicts the human mind in search of transcendence. Acclaimed as a masterpiece upon its publication in 1857, it catapulted Flaubert to the ranks of the world's greatest novelists and ushered in a new age of realism in literature.